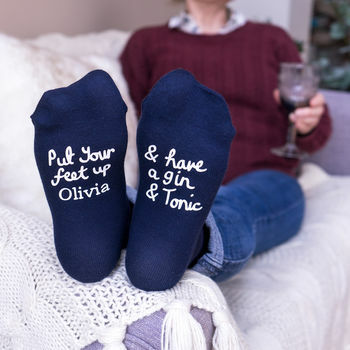 Personalised Women's Gin And Tonic Socks. 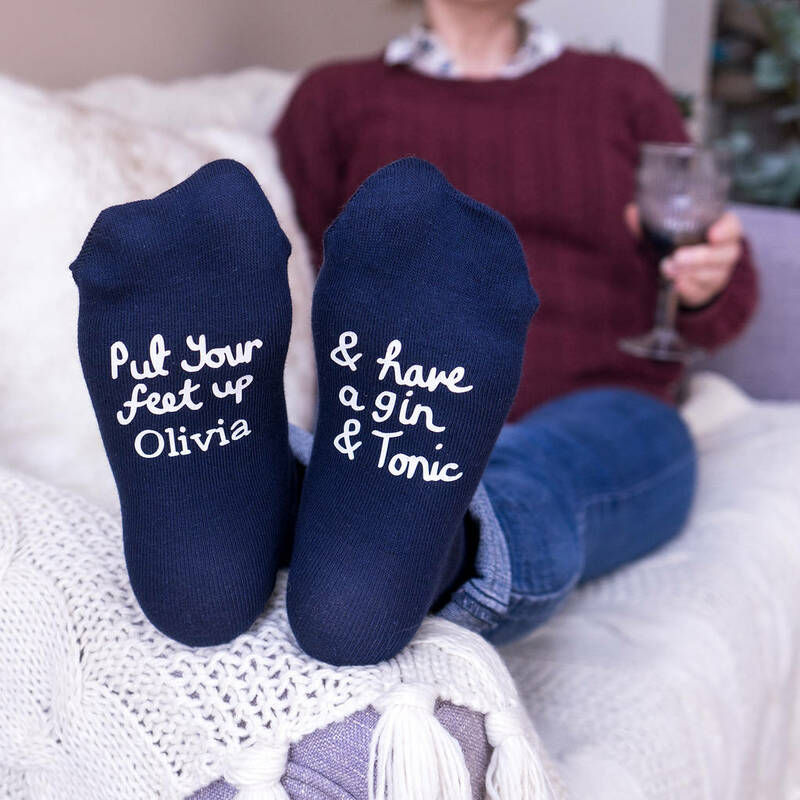 Our 'Gin And Tonic' women's socks are the perfect gift for anyone who loves a gin! 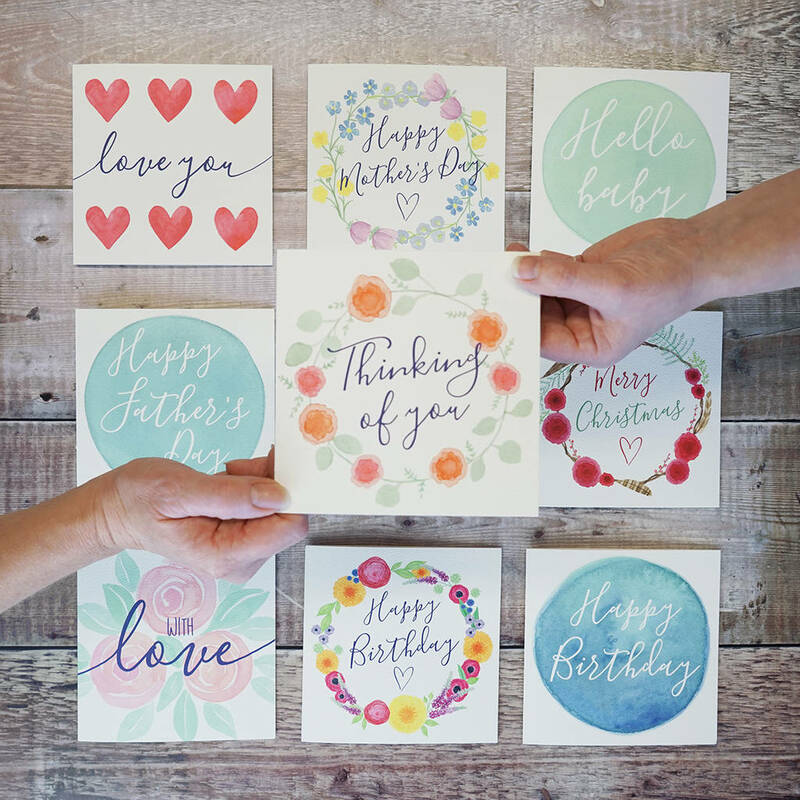 They can be personalised with any name you choose! 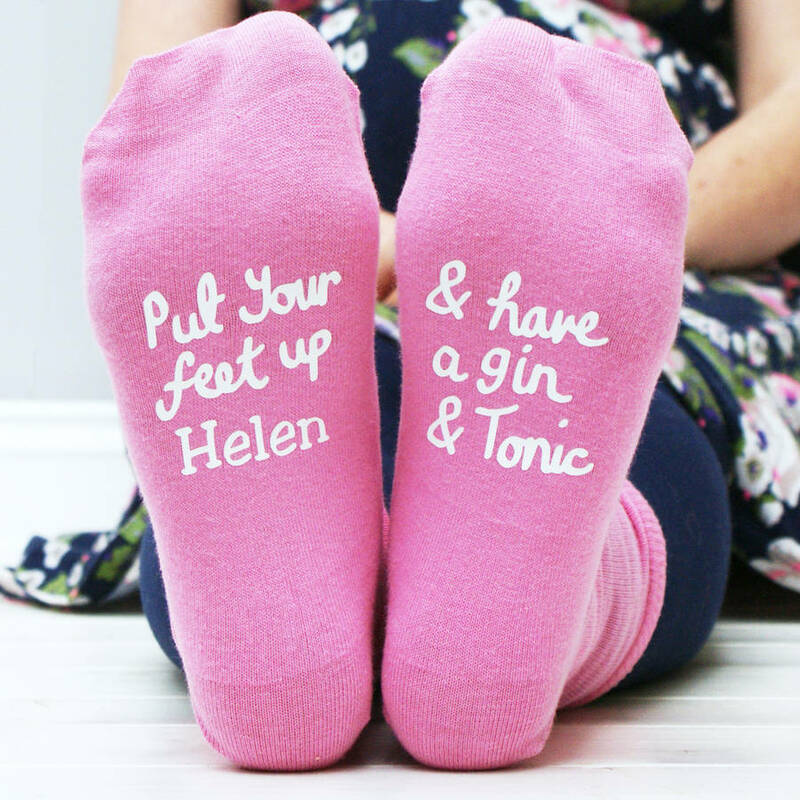 The socks are available in a choice of grey, pink or black, and in a choice of print colours. 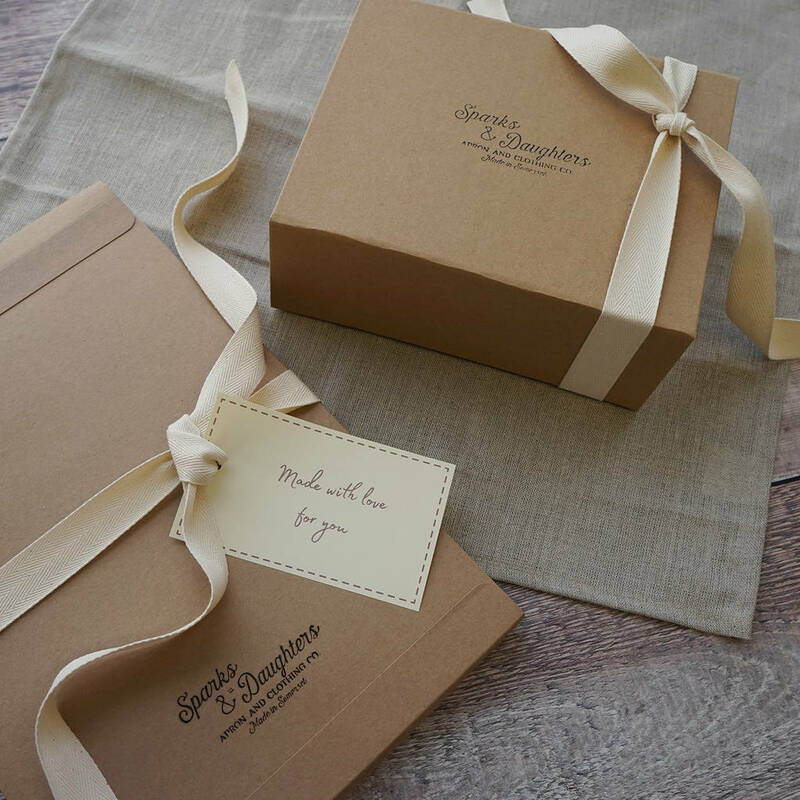 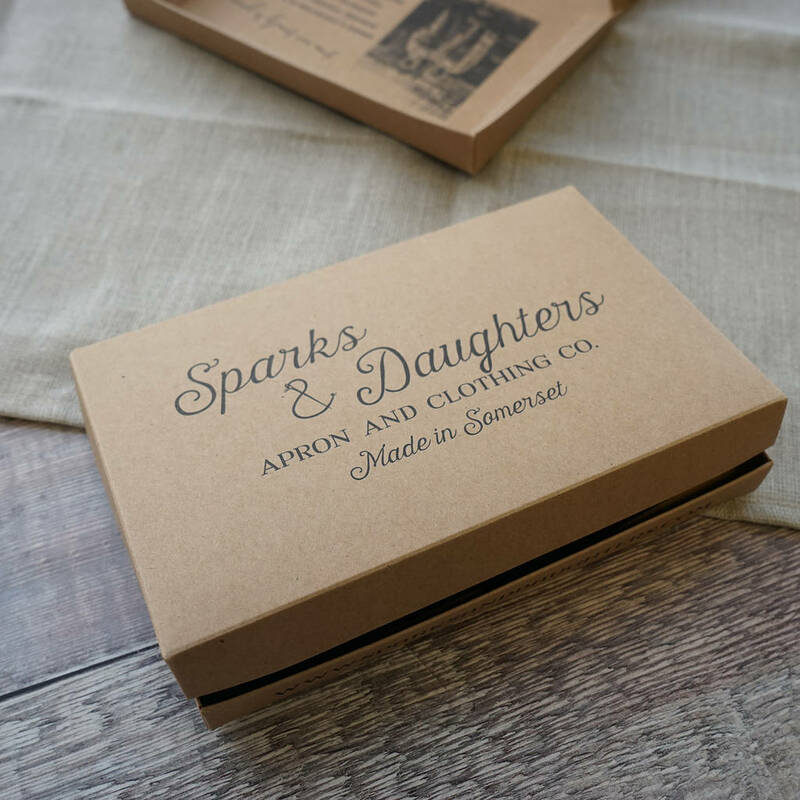 A lovely gift for your Mum, Gran, Auntie, sister or friend, for their birthday, Mothers day, Christmas, they are sure to love this truly personalised gift! 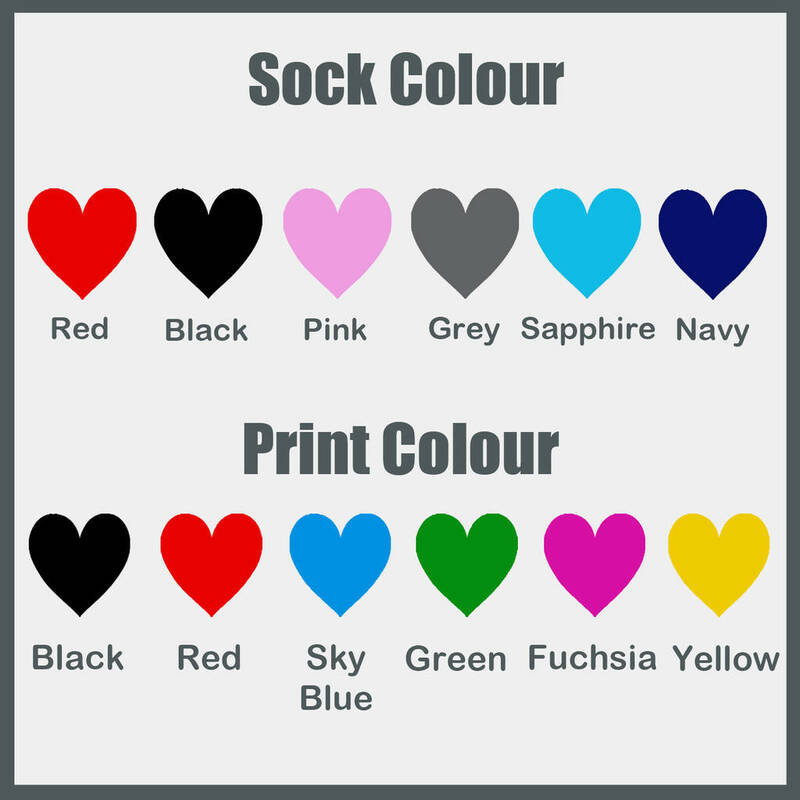 We have lots of other sock designs take a look at 'see sellers complete range' on the right.